When we diagnose decay on baby teeth the most common question everyone always asks is “Why should I get treatment done on baby teeth? They are just going to fall out!”. Yes, eventually most baby teeth will fall out sooner or later. But that’s just it…sooner or LATER! Baby teeth are necessary for more than just chewing food. In the dental profession we call them “space maintainers”. This means they hold the space for the permanent teeth to erupt in the proper placement. If a baby tooth is “lost” before it’s time, the other teeth can shift into that area. 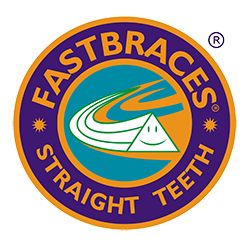 Limiting the space for the permanent tooth to erupt could cause the need for braces in the future. Baby teeth should be considered just as important as permanent teeth, if not more important. God was gracious enough to give us baby teeth as a “practice set” before the permanent set comes later in life. Teaching our children how to properly care for their teeth when they are little will ensure healthy habits with their permanent teeth. We don’t get another set of teeth after that, unless they are FAKE! As parents, we need to teach our children how to take care of their teeth at an early age and to help them along the way. 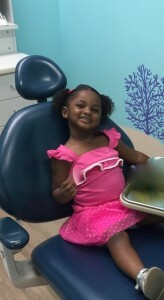 Taking them to the dentist by the time they turn 1 year old is the first step. No, I’m not just saying that because I work at a dental office. The first dental visit is more for the parents than the child. Parents need to be properly educated on how to take care of their child’s teeth. As well as, what kinds of food and beverages to stay away from that will cause early childhood decay. Choose a dental office that has a child friendly atmosphere. One that you believe will make the dental visit fun and enjoyable for you and your child. If you ask most general dentists (that don’t treat children on a regular basis), they would tell you that your child doesn’t need to go to a dentist until they are 3 years old or if you see a problem before then. That cannot be farther from the truth!!! We see it every day. Children come into our office and have a mouth full of decay at 3, 4 and 5 years old (and even younger). If parents had been advised to take their children to a dentist, childhood decay could be reduced. We have extracted front teeth on children as young as 15 months old. There is absolutely no reason for this! It is the responsibility of the dental community to inform the world…BRUSH AND FLOSS YOUR CHILD’S TEETH! TAKE YOUR CHILD TO THE DENTIST! NEVER PUT YOUR CHILD TO BED WITH A BOTTLE OR SIPPY CUP! LIMIT WHAT THEY DRINK TO MOSTLY WATER! But it is your responsibility as a parent to take the advise we give and put it to good use…for your child’s overall health.